Stoinis claimed for 3/19 in his four overs to restrict Renegades for 121 all out before anchoring the chase with a 65-ball 70 to lead his team to an easy win with four balls remaining. Opting to bowl first, Stars had a good start with the ball removing Renegade openers inside the first four overs. Marcus Harris fell to Liam Plunkett for 15 followed by the wicket of skipper Aaron Finch for 14 by Jackson Bird. The bird then proceeded to remove Sam Harper for a three-ball duck, while Stoinis got rid of the dangerous Cameron White for just 1. Renegades slumped to 33/4 before Tom Cooper’s 22-ball 24 drove Renegades forward, but he fell to Plunkett in the 13th over. Mohammad Nabi (28) and Dan Christian (18) took failed to get going before Stoinis returned to take two quick wickets as Renegades innings came to an end at 121. 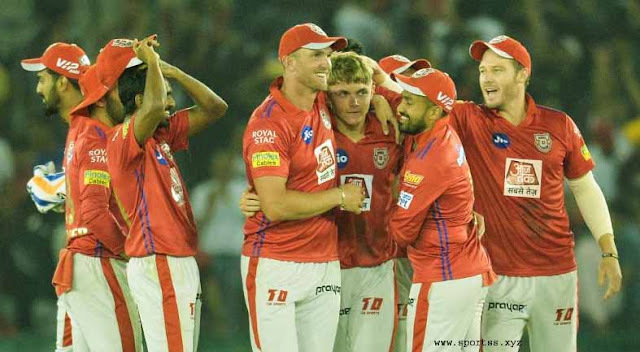 In the chase, Stars lost three quick wickets with Nabi getting rid of Ben Dunk in the first over followed by the wickets of Peter Handscomb by Kane Richardson for 8 and the departure of Glenn Maxwell (run-out) for 7. Stoinis found support in Nic Maddinson who score 19 off 26, adding 63 runs for the fourth wicket with Stoinis. Richardson send back Maddinson but Dwayne Bravo (17*) and Stoinis saw their team home. 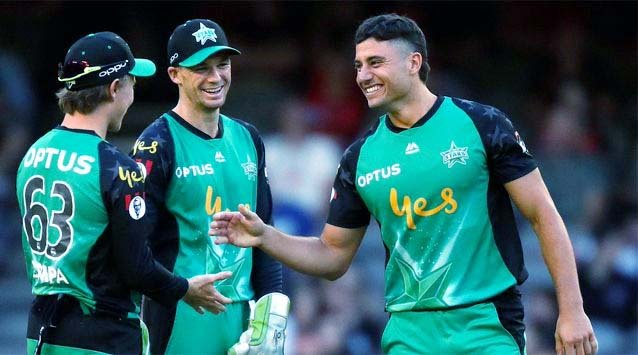 Brief Scores: Melbourne Stars 124/4 (Marcus Stoinis 70*; Kane Richardson 2/17) beat Melbourne Renegades 121 all out (Mohammad Nabi 28; Marcus Stoinis 3/19) by six wickets.